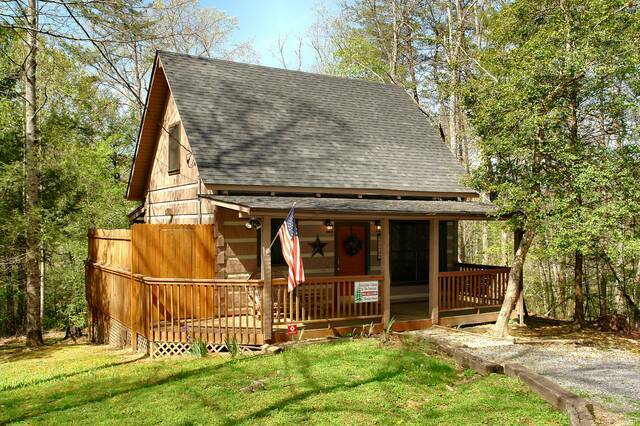 This ALL NEW Gatlinburg honeymoon cabin is located in a quiet wooded area with privacy deck, all new stainless-steel appliances, king-sized sleigh bed, heart-shaped Jacuzzi tub, one-half bathroom upstairs, full bathroom downstairs, table-top arcade game for two with over 60 games, and gas fireplace. 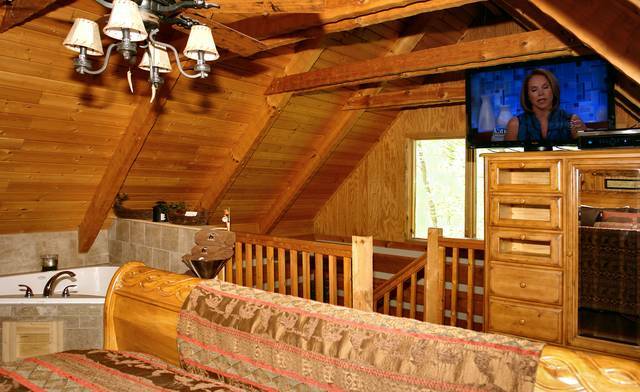 Enjoy your favorite movie on the 52 inch HD TV with Blue Ray and premimum satellite or the 42 inch upstairs in the bedroom also with Blue Ray. 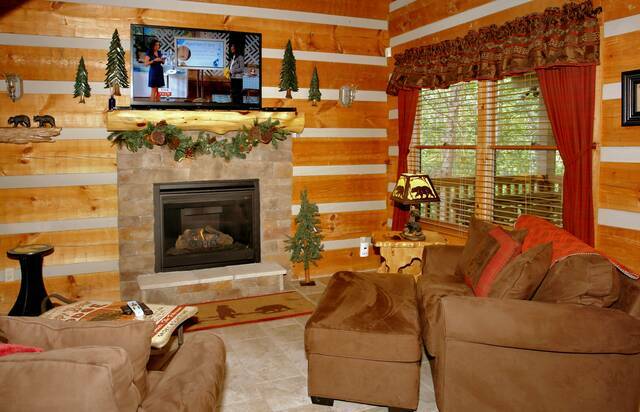 Snuggle with your soul mate and enjoy a cozy fire or relax in this quiet setting with a good book. 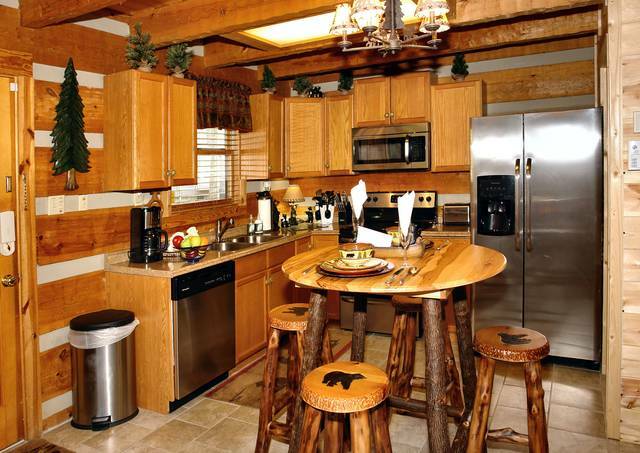 Prepare a romantic dinner for two in your fully furnished kitchen. 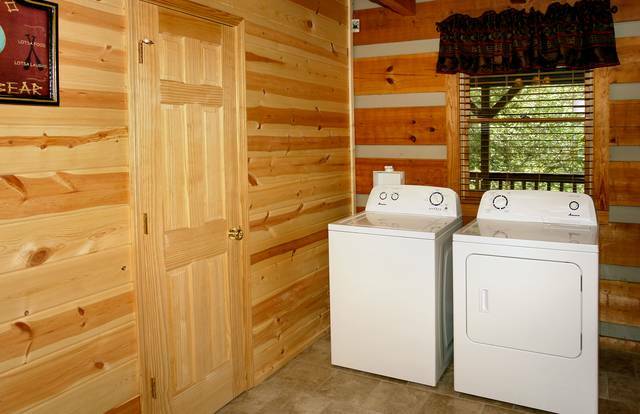 Also on the main floor is a washer and dryer and seperate full bath, the mini sofa make a twin bed, perfect or those couples with one small child. 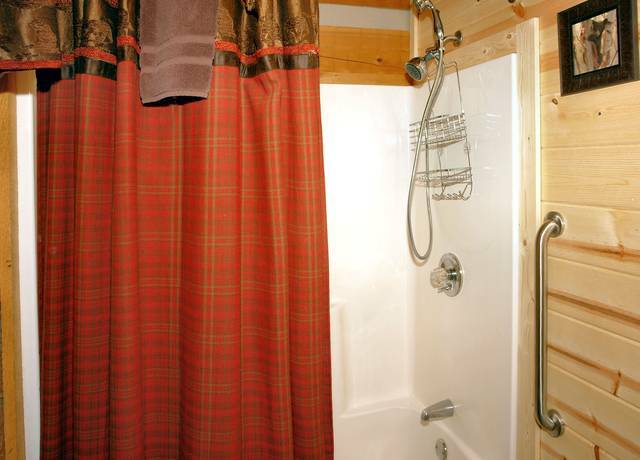 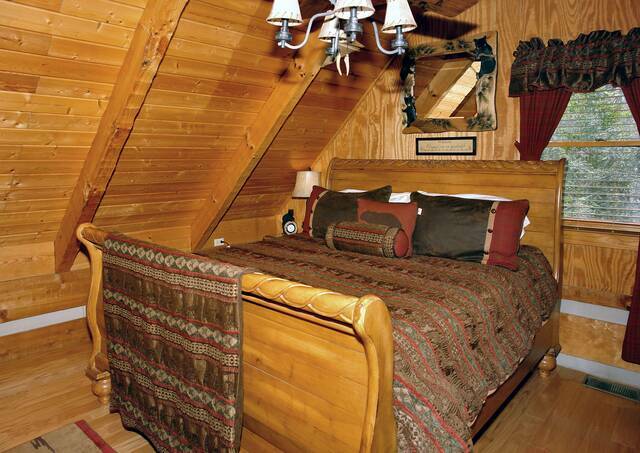 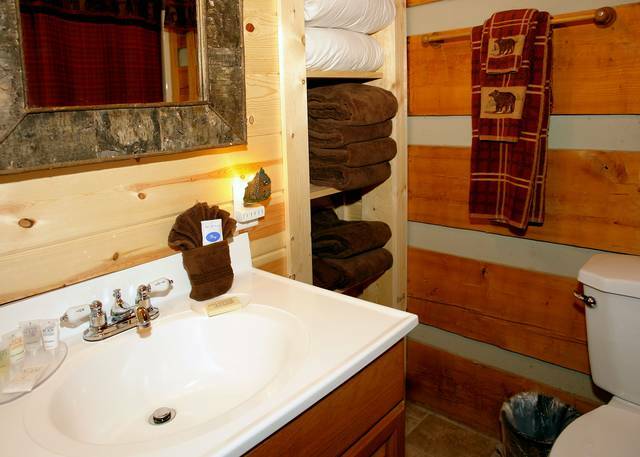 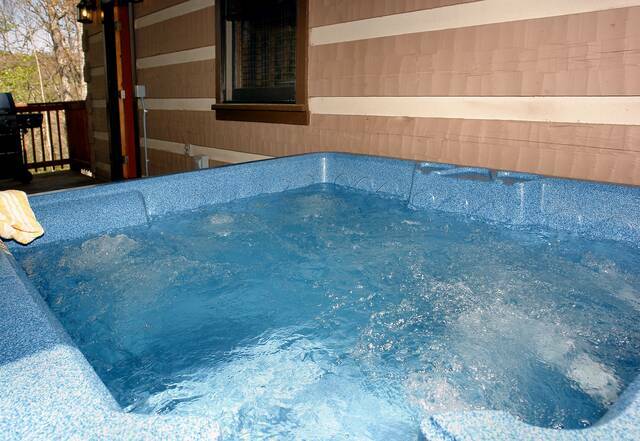 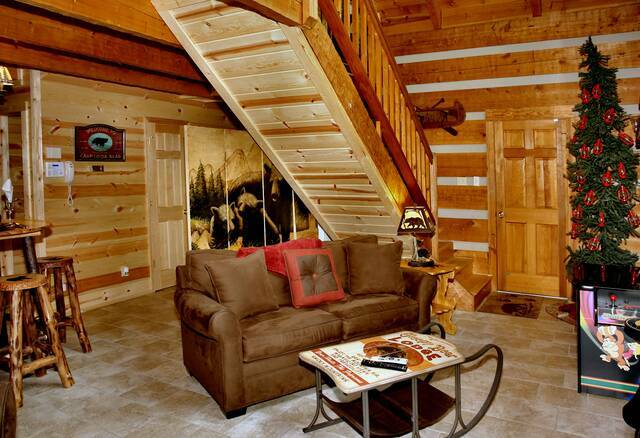 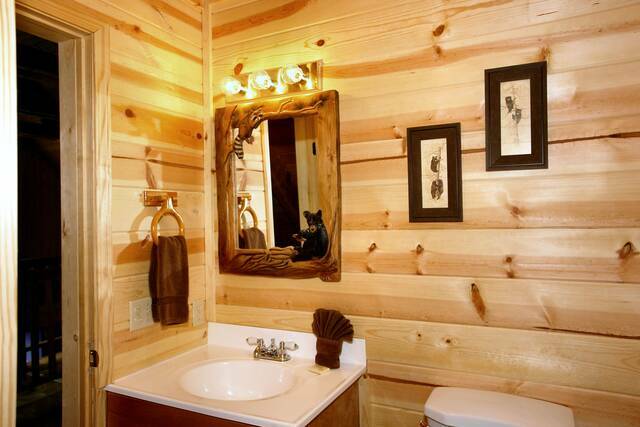 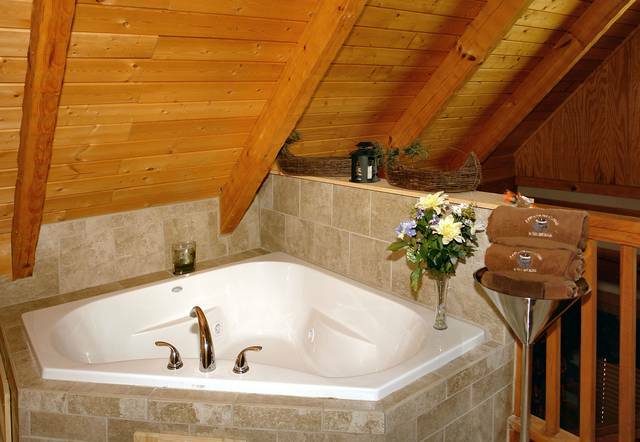 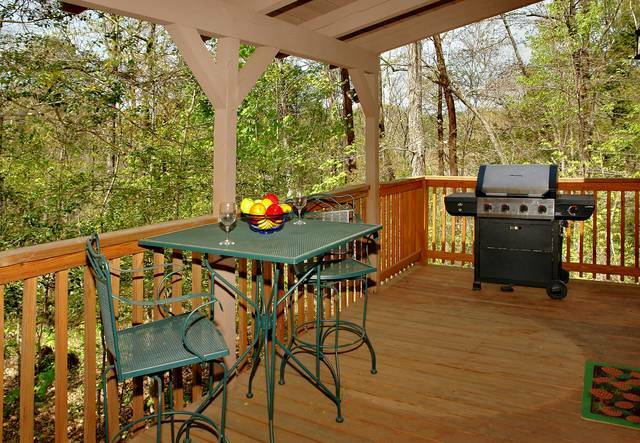 Sleepy Bear Cabin Rental also features a covered back porch with a hot tub, patio furniture and a permant gas grill. 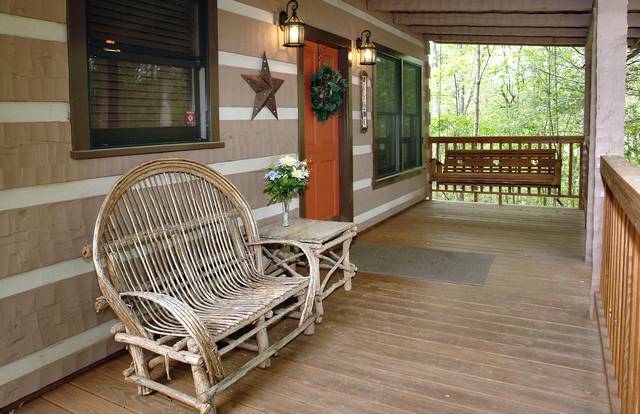 Sleepy Bear is located on Birds Creek Road just off the Gatlinburg Arts and Crafts community, you can also travel this road to the Dollywood entrance in Pigeon Forge so a central location.